Rye is a stronger flavored grain than barley or oats, and has been used in breads for centuries. 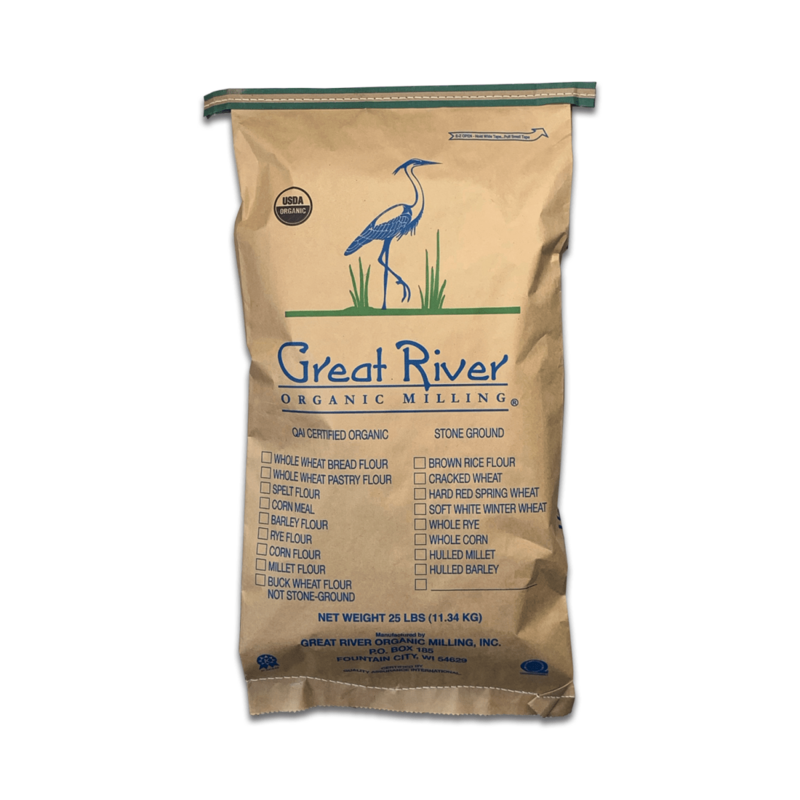 Great River rye flour is whole grain, and stone-ground. It is low in gluten so must be combined with wheat to make a loaf of bread. A tasty but dense loaf can be made with 100 percent rye flour for people who are sensitive to wheat. Rye flour is whole grain and stone ground. Low in gluten, high in nutrition, medium grind excellent for rye bread. Mix with wheat flour to make a great loaf of bread.